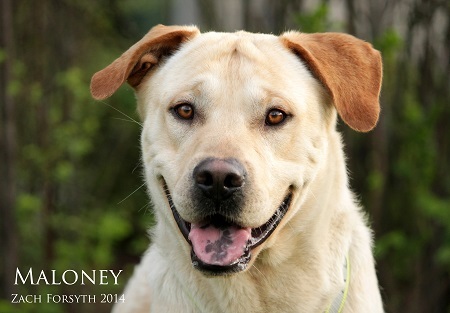 My name is Maloney and it’s no baloney I’m a 1 year old, 61 pound lab mix who loves macaroni, pizza no pepperoni, minestrone with rigatoni, can play the tromboney atop a shetland pony, got jokes but I’m not a phony, could you give me a homey? Alriight alright, so I’m a little rusty! Aside from my rhymes, I will require some puppy classes, but I’m a quick learner with tons of charm and energy in my favor! I am great with other dogs but would do best in a home without cats, or at least with ones who know how to be around an excitable pup like me. I am neutered, microchipped and up to date on all vaccines and my adoption fee is $250. Whaddaya think? Could I be the Maloney you’ve been waiting for? Just fill out an application at pixieproject.org and we can set up a meet!